Memorial Mass for Angeline A. Varketta, 89, of Painesville Township will be 12 PM, Saturday, May 20, 2017 at St. Mary of the Assumption Catholic Church, 8560 Mentor Ave., Mentor. 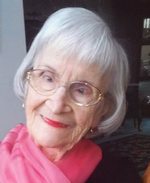 Mrs. Varketta passed away May 8, 2017 in Willoughby. She was born August 11, 1927 in Ashtabula. Angeline worked as a licensed practical nurse for Dr. Joe Koelliker for 20 years. She was an aerobic instructor for the City of Mentor for over 18 years. She enjoyed playing cards in her free time. Survivors include her daughters, Lori Hundza and Connie (Dennis) Concoby; grandchildren, John (Kristyn) Prochaska, Kristofer (Michelle) Coleman, Ryan (Sara) Coleman, Amanda Troxell, and Brian (Jessica) Hundza; great-grandchildren, Molly, Kyle, Maxwell, and Mia Angelina Coleman, Samuel, Jonathan, Matthew, and James Prochaska, Chase and Jaxson Coleman, and Nathan, Asher, and Jude Troxell; sister, Florence Minadeo; God-daughters, Mary Sue (Jack) Manyo and Tina (David) DiCicco. She also leaves behind many wonderful friends. She was preceded in death by her parents, Ralph Guzzo and Margaret Brooks; grandsons, Daniel and Dean Heasley; son-in-law, Louis Hundza. Private family interment will be in Western Reserve Memorial Gardens, Chester Twp. Please share your memories of Angeline.